As I arrived in Newcastle, I took a walk around its famous Quayside. Stepping onto one of the iron bridges to take in the River Tyne, Simon & Garfunkel’s “Bridge Over Troubled Water” started playing through my headphones. This song couldn’t be more ironic or apt for attending the Turnitin Summit. I planned ahead with a list of questions I wanted to ask about the problems experienced with Feedback Studio, I suspected other attendees came with a similar agenda of grilling Turnitin. But this was billed as a conference about Academic Integrity and how Turnitin will be working more closely with UK institutions. Marc Daubach of Turnitin, introducing the agenda of the day, reiterated this at the opening. The keynote speaker was Kerr Gardiner (https://www.kerrgardiner.co.uk/) who is a consultant in Learning Technology. He talked about his past role as Head of Learning Technology at the University of Glasgow, of how they pulled out of using Turnitin within their Moodle integration. The anecdote was building up to how in the past, he worked in partnership with Turnitin to try to help meet Glasgow’s demands. That now that partnership has strengthened in his work with HeLF (https://helfuk.blogspot.co.uk/p/about-helf.html). Both HeLF and Turnitin are discussing customer service, future problems in learning & teaching, smoothing out workflows and improving partnerships with UK institutions. • Reliability of the system, as outage times have had a big impact for a number of institutions. • Data access has been an issue for a number of years being locked down and not accessible to users. • Workflows and integration – better support for the variety of different VLE systems, accessibility plans and archiving assignments. Kerr outlined that Turnitin are looking into the future requirements we might have such as detecting ghost writing, and dealing with other forms of assessment like video. He was strong in saying Turnitin need to deliver and that dialogue will continue with HeLF. Ron Park of Turnitin then addressed the conference with how Turnitin would meet these problems. • Turnitin have invested £5.2 million in hardware and software to improve customer relations and dealing with calls. • Turnitin are improving their cloud server to deal with more assignments and to be more stable. • The Turnitin website is currently in Beta, which allows users to create folders, and users can drag and drop files onto the website. Still unsure of how these files are used. • Viewer is being upgraded within Feedback Studio so will be turning on features to improve the magnification of a paper and get around the blurred text issue. Bill Loller of Turnitin did a talk about the Academic Integrity vision and discussed how it is important for UK institutions, and that there is a need to raise awareness and educate teaching staff. The conference was then broken up into break out areas called Discovery Sessions, which we signed up in advance of attending. The first was ‘Feedback, marking and moderation’ with Ron Park, which tried to address the issues Kerr Gardiner outlined. • How were Turnitin going to support the variety of VLE integrations? • Promises made today (double marking) were promised a few years ago with Feedback Studio and we’re still waiting. • Other assessment tools are getting better, which allow for double marking, group submissions, other file formats like videos. Turnitin diverted answers to these issues, threatening that if we moved away from Turnitin to a competitor that we’d be going back 5 years. Customer relations and transparency were questionable here. After lunch it was the remaining two discovery sessions. I attended Bill Loller’s ‘Ghost Writing’ which was an interesting discussion on how it works. Bill talked about how the service is advertised to students, which type of students it is targeted to, how institutions should deal with students caught and how to educate staff about the issue. The final session was ran by Gill Powell, ‘Preparing to tackle all elements of academic integrity’. Was a discussion of how different intuitions are educating their staff and students, and the challenges they’ve met. A member of staff from the University of Huddersfield shared his academic integrity report. The rest of the afternoon was a number of talks around the issue of academic integrity. Simon Bullock from the QAA talked about raising student awareness and using technology to help educate students. Irene Glendinning from the University of Coventry discussed her Academic Integrity scoring model developed through the IPPHEAE project, which involved scoring a number of universities across the European Union. Cath Ellis from the University of New South Wales did an interesting talk about the global Academic Integrity picture. She’s been investigating students buying essays from online websites, and looking at student behaviour and how they view cheating. The final talk was a video presentation by Phil Newton from the University of Swansea, titled ‘Pouring ALE on Contract Cheating’. ALE stands for Assessment Design, Law and Education. He described how the websites work for students wanting to have their essay written by someone else and how institutions can tackle the problem. It seems Turnitin are willing to work more closely with UK institutions to improve support and trust in the system. I feel there are still issues in the current Feedback Studio that need to be addressed such as the app and user issues in Grademark. I felt encouraged there is more effort being made to listen to our concerns with the system and want to see action being taken, to be on our side and resolve them over the next academic year. Measuring the distance travelled is a phrase that is often associated with the use of portfolios in education. In many ways my attendance at the Pebblepad “ePortfolio in Professional Development event at Sheffield Hallam was a little like time travel. I have traveled some distance but I’m also travelling back, way back, back into time. My first role at LJMU in 2006 was to support the wide scale implementation of the Blackboard ePortfolio tool to support student Personal Development Planning and assessment. ePortfolios haven’t enjoyed the same uptake as VLEs within Higher Education and tend to be described as ‘troublesome knowledge’. Even the term ePortfolio isn’t widely agreed upon and PebblePad no longer use it to describe their product, preferring instead Personal Learning Space. That said, many Higher Education Institutions now require, broadly speaking, some process or tool to evidence staff and student progression. So it is with many hats on I attended this event. Part of my current role is to look after the upgrade to Pebbleppad V5 this summer, so I was keen to hear more about how this area of learning developed. 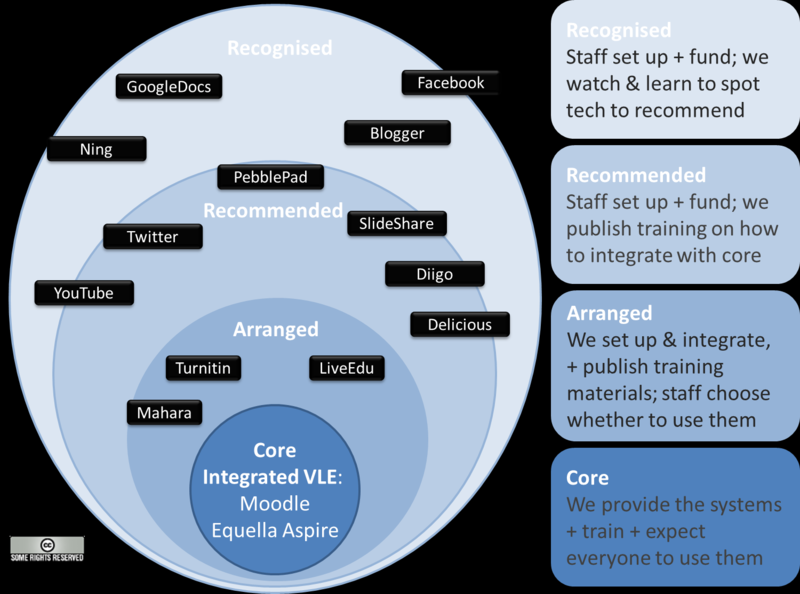 In particular, how Pebblepad could potentially be used to support HEA Fellowship application and Professional Development Review. While the topic was familiar, the environment for the day certainly wasn’t. Andrew Middleton introduced us to their SCALE UP room and how this environment would shape the activities for the day, but also connected the space to Pebblepad’s online learning space. SCALE UP stands for Student-Centered Active Learning Environment for Upside Down pedagogy. I was unfamiliar with the term but recognised the flipped classroom approach. 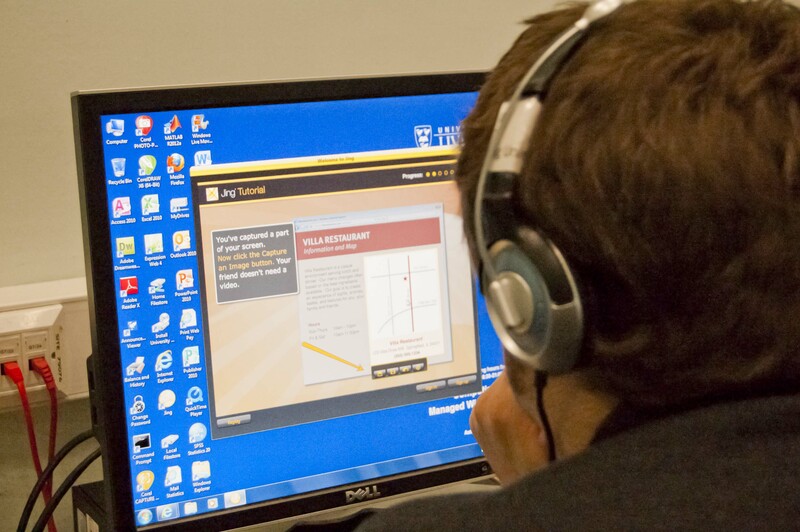 SHU and neighbours NTU have invested in this approach as it supports the flipped classroom methodology, and student as partner approaches, encouraging more active group working in a technologically rich environment. The aim is to remove passivity in the classroom and engage in higher domain learning accordance with the Bloom’s Taxonomy approach. Lectures are replaced by problem solving and enquiry based activities carried out in strategically-assigned groups. The event was hosted in a large room and was divided into 7 round tables which could comfortably sit 9 staff or students. Each table has a laptop to capture work on that was connected to the LCD displays surround the room. Also in the middle of the table was range of power sockets and USB inputs for power-hungry working. Each table also had a 6 foot portable white board which Andrew stated was an integral part of the approach. He also suggested that the set up afforded structure and flexibility to the teaching experience, and the fluidity to remove the hierarchy of one central speaker but devolve it into the “spotlight” groups. This layout supported the structure of the day. Short presentations from experts, round table discussions, writing up ideas and feeding back to the group. I really enjoyed the social element of this approach, as well as white-boarding ideas and sharing. If I’m being a little critical (and selfish!) I would have liked to have the opportunity to do that with all the speakers for the day, as there were so many interesting topics. I was fortunate to spend the most time in a group with Dr Karen Ford at University of Sheffield. She detailed the work done at the institution over the past few years in using Pebblepad to support flexible pathways to HEA recognition. With the help of Pete Mella from the TEL team, they created self-contained workbooks for each of the different routes to recognition. The workbooks act like mini websites packed full of contextual information to help the applicant submit statements at the appropriate level. The workbook acted as a scaffold to allow individuals to provide evidence that allow them to meet the UKPSF criteria. Pebbelpad also doubles as an area where individuals can store evidence, reflections and artefacts privately, before electing to share or add them to the application. These methods were backed up by face-to- face explorer events, mentoring and successful writing clinics throughout the year. She commented that the new version of Pebblepad has made the process and usability much easier. The technology, support and tailored design process has been a success. Over the past two years there has been increase in applications across the board, including a significant rise in SFHEA applicants – from 6 to over 100. Here is a link to Karen’s presentation. Pebblepad have collated all the other presentations from the day on their website. The eLearning Network meets again! The first eLearning Network meeting of the new academic year continued the traditions of last years gatherings: an encouraging and engaged interest group; sharing and discussion of practice from all areas of the University; a look at new services and software applications in development; standing-room only! Increasingly people are also staying on after the main meeting to continue the discussions sparked in the room and to catch up with colleagues from other schools and departments, which is another real strength of this network. Join us! Here’s a flavour of what we covered this time. Whilst this was the final presentation of the meeting it was a great example of what the network meetings do so well, sharing practice and exchanging ideas around how technologies can be deployed and their value in different learning and teaching contexts. Lu discussed how, working with Pete Alston, they had looked in Life Sciences to PebblePad as a way of a) more effectively managing the administration of the ever-increasing number of their students on one year placements or six-week internships abroad and in the UK, and b) more importantly they were looking to formalise and improve the quality of the reflective report writing and associated evidence-gathering required of the students. With smaller numbers in previous years much of the administrative and student reporting and reflection on placements and internships had been handled through emails. This was leading to too much variety in the reports and sometimes poor reflection, and email was not a strong evidence-gathering tool. PebblePad offered a means by which to build a far more structured environment for the students which demanded quality reflection on the skills they are learning. PebblePad also formalised deadlines for students reporting and the feedback they could expect. Students really valued the system as they felt looked-after whilst away from campus but Pebblepad by itself was not enough and a good deal of preparatory work with the students and the staff was needed. All of this contributed to students feeling very positive with high engagement in the process, every single student completing their reflective reporting every week within the context of other close support mechanisms from Skye calls and emails to site visits. Gordon, the University library’s licensing manager, started off this term’s session with news of a just-published online resource from the library on copyright (and click here for the Information for teachers page which includes VITAL and lecture capture advice). This is very searchable, thorough and includes advice on many aspects of copyright, with extensive help on digital resources, including lecture capture. Gordon also highlighted that the library’s new digitisation service has been formally launched. If you have a journal article or extract from a text that you want to include on VITAL for example, and if it doesn’t exist electronically in the library, then rather than scanning this yourself and going through the CLA process to make sure it clears our copyright requirements, simply ask the library to do this for you and include it on your Reading List @ Liverpool list. There’s plenty of guidance on the digitisation service here, it will save you a lot of time so please do use it. Classroom polling technologies have been high up on many people’s teaching wishlists for a long time. 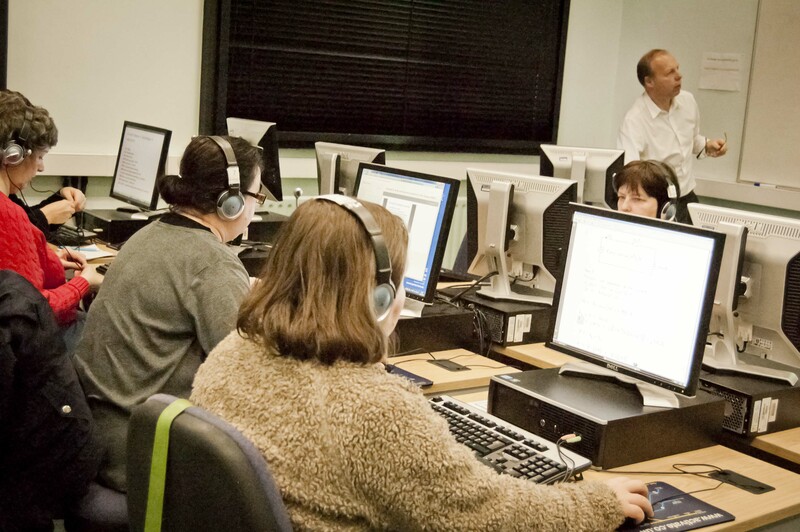 There are lots of services out there from older-style clickers to web-based systems like Poll Everywhere but nothing is currently provided by the University centrally so schools and departments have been purchasing and subscribing to services as needed. Encouragingly Duncan and Alan from CSD gave us a look at and a try out of a beta version of a polling application, VOTA, currently in development. The project has come out of the team’s interest in exploring the potential of HTML5 websockets so is more of a technology-led than a learning and teaching led development at the moment. Once it’s ready, and further features will include embedding live polls into PowerPoint slides, it will be made available as a simple polling tool that will scale up to use for large cohorts so will be a fantastic entry-level tool for someone to try out this kind of technology in their learning and teaching. Given that there are other more sophisticated polling tools that exist there are no plans to develop VOTA beyond the simple tool we saw in the session. However there was a lot of interest in the prospect of a centrally-available polling system and the discussion in the room was around whether the basic system could be developed in time to do something different to that which Poll Everywhere etc could do and model some different interactions that would be directly relevant to Liverpool staff. A very positive discussion and there is exciting potential here. Duncan has been the lead developer of our Stream Capture system and we had an informal discussion with him around its development which was an excellent opportunity to feed back on our experiences to date and have an influence on the direction in which the system is being built. An extremely useful tip worth sharing here on how the Stream Capture settings are managed (recording preferences, save to drive etc.) is that your account settings follow you around rather than you needing to reset them whenever you are in a different room. That’s a very quick round-up and we hope that it persuades you to come along, so we look forward to seeing you at the next meeting which will be on Thursday 28th January 2016 and you can book here nearer the time. We also hope to hear from you and what you would like bring along so if you want to join the mailing list and be notified when the booking opens please contact the eLearning Unit. A belated Happy New Year for 2013 to everyone. The eLU began the year at a brisk trot in 2013, straight into our annual e-Learning Winter School. A quick report on this follows below. Another post will follow soon outlining some of our plans for the rest of the academic year. As ever, please do contact the eLearning Unit for any advice or support with technology-enhanced learning at the University. We continue to run our Wednesday afternoon drop-ins and offer telephone and email support. The team was really pleased with this year’s sessions. We met many new colleagues from across the University, with the highest number of people attending a ‘school’ series of workshops so far, some people attending one or two and a few brave souls coming along to most sessions. It’s been very useful to find out what aspects of learning enhanced technology people are interested in, the kinds of questions people are asking of the facilities we have, and to have the limits of our own knowledge and thinking about learning technology tested! We certainly found the discussion in the sessions inspirational and we’re already working on new resources and sessions for 2013 as a direct result. It seems to be the case that many staff are now wanting to use what were once lesser-known facilities in VITAL, from wikis and blogs to embedding social media and streaming video, which lends weight to the argument that new technologies can often need a long seed time before they move into more general usage. It is also clear that screen-capture, lecture-capture, and classroom response systems are fast becoming central to people’s thinking about the technologies they would like to be able to use as part of their everyday learning and teaching practice. Look out for our summer school in June 2013. More details will be released on this blog and the regular UoL channels. 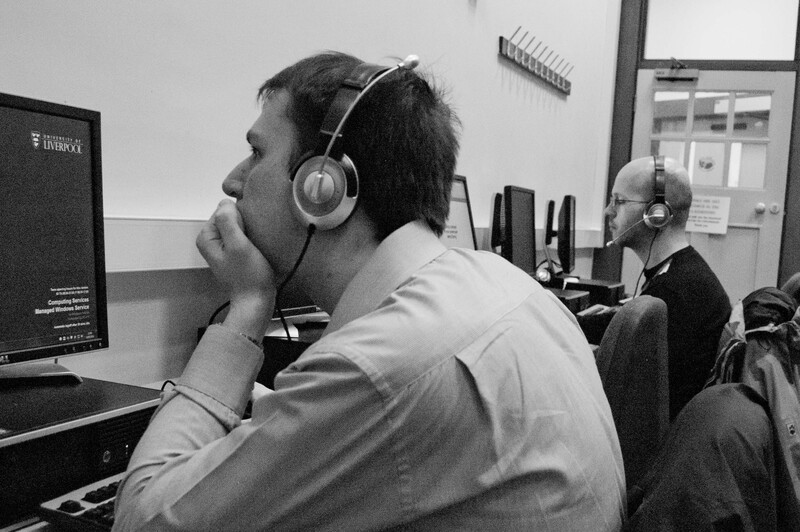 We are also offering a workshop on Turnitin and Originality Reports in March, and a webinar on the Rubrics marking facility in February (this will be a short, online session over a lunchtime, so that all you need to attend is an internet connection and some headphones for your PC). Go to the CLL booking system to get the full details and to sign up. Nick, Paul, Debbie, Dan, Tünde and Phil. 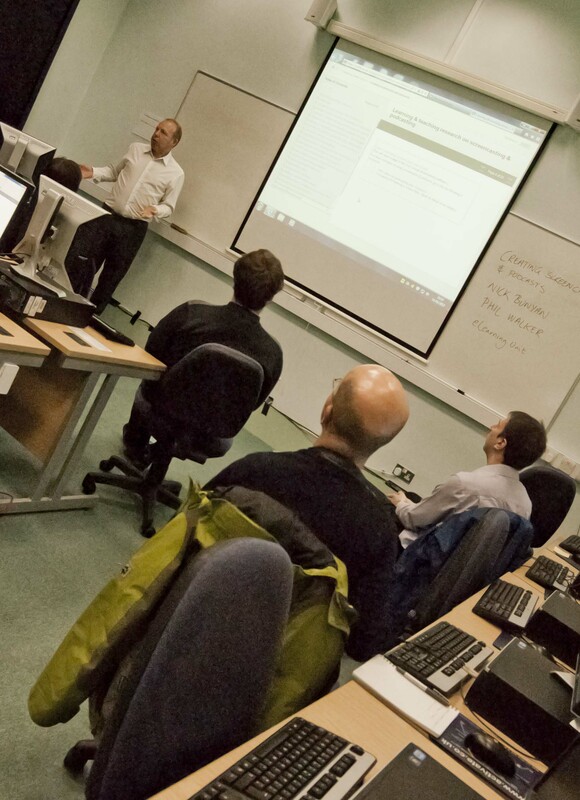 The latest Heads of e-Learning Forum event (HeLF) was hosted by the University of Kent, with Cloud computing as its focus. Speakers and discussions ranged over the many and varied experiences, strategies and responses in this rapidly emergent area, and the real need for institutions to engage with ‘Cloud’. As the first keynote speaker highlighted, staff and students in every institution will already be using Cloud services in some form, for research, for learning and teaching, and for administration purposes for a variety of reasons. An institution’s first reaction might be to wish to control or contain ‘it’ but as was explored on the day, this response might not really be compatible with Cloud concepts. 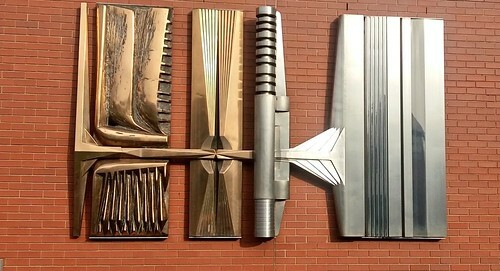 I was surprised to find out over the day that a number of UK institutions represented at the event had already moved some of their previously internally-hosted IT services over to Cloud-based services, such as adopting Googlemail or Microsoft for student email accounts, or utilising Google Apps for learning and teaching activities, or running externally hosted media servers. There are also examples of hybrid models such as externally-hosted installations of institutional VLEs (Blackboard and Moodle). These kinds of migrations are often not seen in cost-saving terms but rather, as an example, to free up highly-skilled staff from routine systems administration to engage instead with institutional priority developments. However, concerns are voiced about security, data privacy and the persistence/reliability of Cloud services and the day’s event did an excellent job of identifying the foundations, the realities and some of the misconceptions that make up these worries. Welcome and opening remarks. Jane Carne, Curriculum and Educational Development Manager at the University of Kent, welcomed us to the day’s proceedings and mapped out some of the learning technology landscape at her institution. It was particularly useful to hear how they had developed an e-learning strategy in 2007 which clearly supported the curriculum aims of the University. Another major initiative is their MaLT project (contact Jane for more information) which is designed to facilitate ‘cross-silo’ working and communication, so that services like computing, library and educational development, who often have very different working cultures, can collaborate and ensure that the learning technology offer at the institution is coherent, fully considered from all points of view, and best suits the learning and teaching needs of the University. This emphasised the role of learning technologists as being ‘third-space professionals’, people in the University who are comfortable working between many different sections of the institution and who can see solutions and strategies from multiple points of view and with a range of foci. Moving on to the first keynote presentation, “A sunny outlook…”, a good, balanced state-of-play look at institutional engagement with Cloud computing from Peter Tinson, executive secretary of the Universities and Colleges Information System Association (UCISA). It was particularly useful to learn about the ways in which contracts and End-User License Agreements can (and sometimes can’t) be negotiated to suit institutional security and privacy requirements, for example, when adopting a cloud-based service, and how the processes for doing this in the HE sector were developing quite quickly and successfully. Peter outlined why some institutions might want to utilise Cloud services, from the escalating cost (and reliability concerns) of the physical power requirements for in-house services, to obtaining a much-needed service such as a media server for the institution without having to worry about specialist staff, software purchase and scalability. UCISA last year published a briefing paper for senior managers which is an excellent starting point for anyone. A small group discussion followed with each group discussing what kinds of externally hosted/managed/cloud-based services were being used, or considered, what processes and needs had led to their adoption (and even discontinuation). Lightning Strike sessions were the next part of the day, where speakers have a maximum of 10 minutes and 10 slides for their talk, followed by any questions. A brief summary of each ‘strike’ is given below and please do get in touch if you are interested in finding out more detail on any of these. 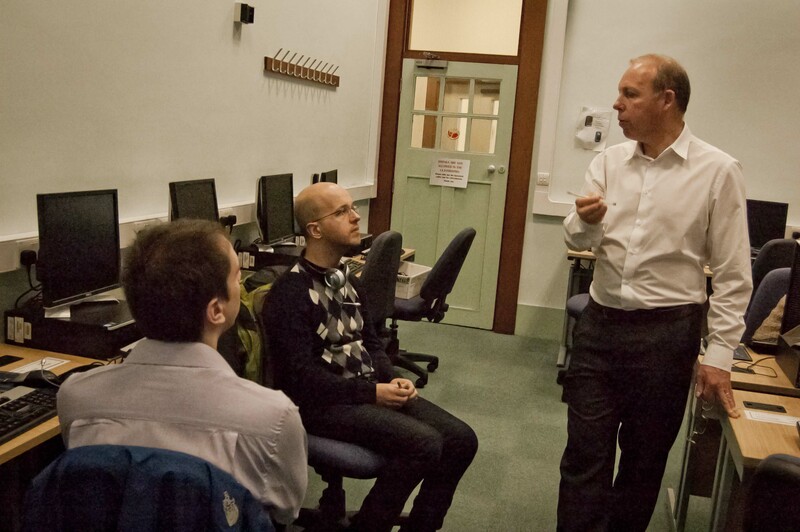 “The University and the Cloud: a health warning?“, Richard Hall – De Montfort University. Richard highlighted a number of important questions an institution might want to pose when considering engagement with Cloud services. These were questions concerning ethics, political issues and of governance. What levels of corporate governance are required? Do we understand what data is being transferred to these services, what are our responsibilities here, what are the levels of risk? Is the cloud another tool for the further marketisation of higher education? How do institutions develop the digital fluencies of their staff and students in this new space? “The Bloomsbury Learning Environment in the Cloud”, Sarah Sherman – The Bloomsbury Colleges. Sarah described some of the Cloud services they are utilising and in particular how their adoption of such services has grown organically rather than their being centrally directed. They are migrating to a hosted instance of Moodle and have a media server, the Bloomsbury Media Cloud, hosted on Amazon S3. They utilise GMail for students and some departments are using an arranged, educational instance of GoogleApps as a part of their learning and teaching activities. “Embedding Constellations of Clouds”, Neil Ringan – Manchester Metropolitan University. Neil detailed how their formal model of technology support (click to see the diagram below) from a Core level (the fully-integrated and supported VLE) through levels described as ‘Arranged’, ‘Recommended’ and ‘Recognised’ was designed to enable staff to work at a level that is appropriate to their confidence and their needs as much as to support innovative practice across the spectrum of emergent technologies. One of the benefits of Cloud computing for their e-learning team has been allowing them to concentrate their resources on evaluation and pedagogy, as an example of freeing-up personnel from systems administration and support tasks. “Apps: from email to learning tools”, Brian Irwin – Sheffield Hallam University. Brian talked over their experiences of using GoogleMail for their student email systems and building on this to explore an educational instance of GoogleApps, in particular whether tools in GoogleApps could meet the use case scenarios of particular learning and teaching requirements, for example, students collaboratively creating a shared document. After an excellent lunch some time was given over to HeLF business. This included reports on the developing relationships with bodies such as the HEA (with whom a joint event on e-assessment had just been delivered at Manchester) and to set out some general planning for the coming year, including a call for anyone interested in hosting the HeLF meeting. The working theme for next year’s events will be ‘personalisation’. Barbara Newland, University of Brighton, then invited everyone to contribute examples and case studies, identified through small-group discussions, of the extent to which learning technology is a part of institutional PG Certs, and the ways in which PG Certs are encouraging the appropriate use of learning technology. These identified examples were to be submitted as a part of a HeLF contribution to current work on a professional associations guide to implementing the UKSPF in the Digital University. The second keynote 2 of the day from Mick Kahn of the University of London Computer Centre (ULCC), “Hosting Moodle: an open source shared service”, was an in-detail look at the hosted Moodle and associated services that ULCC offer. A second group discussion took as starting points the themes “strategies for embedding into mainstream” and “when to let technologies go” (which my own group focussed on). Invited Speaker. The final session of the day was given over to Will Murray from the European arm of iParadigms, the company behind Turnitin (itself an externally-hosted service). He was attending in response to a range of questions recently asked of Turnitin by HeLF. Will outlined some of the new support that Turnitin are putting in place over the next few months, including 7 day a week, 24 hour support, as well as questions on the future direction of the Turnitin suite. To sum up the day, we looked at many of the issues that might trouble institutions and the extent to which some of these issues are chimeric and so obscure the potential benefits of adopting cloud-based services, such as freeing highly skilled staff from routine system administration and management. We looked at successful institutional adoptions of and strategic responses to Cloud computing. We also explored some of the reasons why individuals in an institution use Cloud services (gaps in institutional provision, agility, rapid scalability) and some of the tensions this can cause where an institution is unsure of itself in this area. Attempts centrally to control or prohibit Cloud computing in an institution often miss the point of why Cloud is being used in the first place and this day provided many important examples, pointers and pathways by which more sophisticated strategic responses and engagement can be achieved. Many of the presentations from the day will be made available on the HeLF pages here. Past meetings covered topics such as digital literacies, PG Certs, learning spaces, and social software.